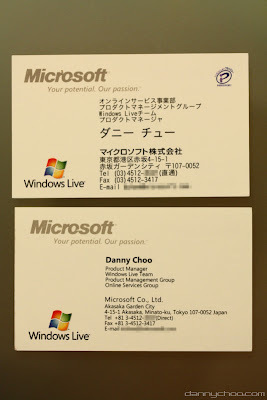 Let's get one thing straight , I collected around 200 business name card which is lying around at my study table *Inside plastic namecard thingy holder*. I start to obtain them when I was airborning around KL/PJ doing errand for the former Warboss of mine 2 years ago. One major problem that I face is the fact *those 200 odds name card* is most of them look the same in term of design and causing lots if headache for me in sorting out them. 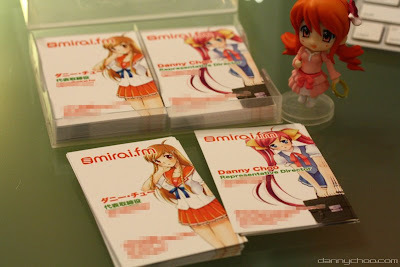 However, from airborning DannyChoo.com today. 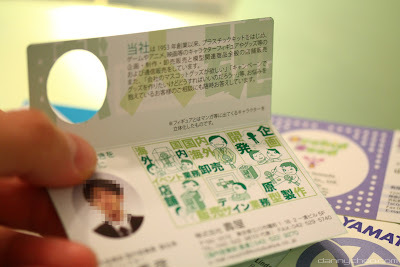 I found that meishi.tokyo-print.jp help solve and the same time pimp up your name card into entire exciting new level! Use Anime as attraction ! Of course! A Short Creative Story within your name card! 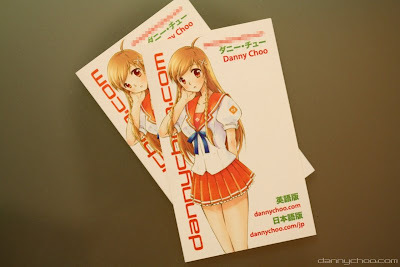 The New "DannyChoo" name card! "DA BOMB" namecard for your Favorite Client! Great card. 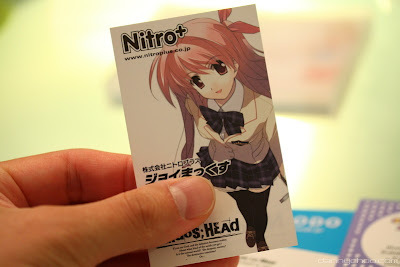 They will help me so much in choosing design for my plastic business cards. Thanks for sharing.